Sign up and receive Property Email Alerts of Lodges for sale in Parys, Parys. 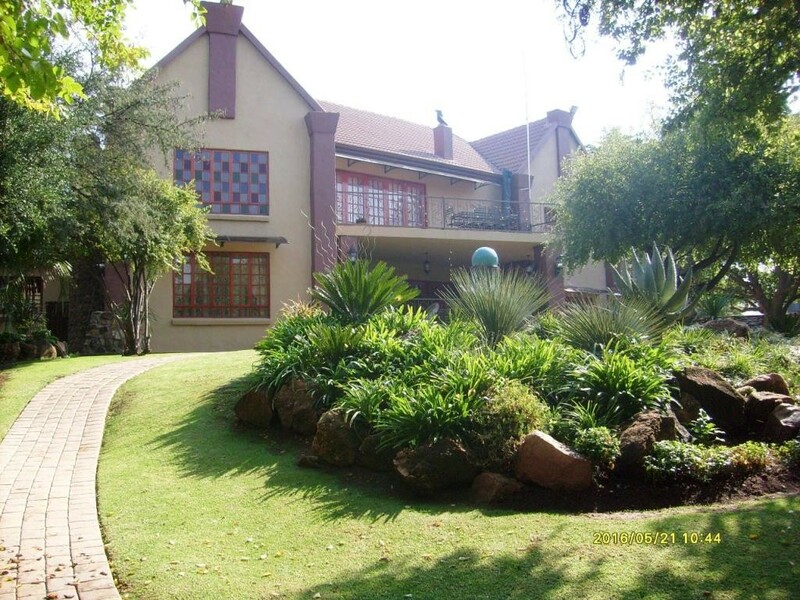 This beautiful double storey home is situated in a secure country estate on the banks of the Vaal River close to the vibrant town of Parys. This large family home offers 4 bedrooms with a gas fireplace in the main one, 4 bathrooms (all en suite), a guest toilet, two lounges with a gas fireplace in one, large dining room and spacious, open plan kitchen with gas and electric stove and separate scullery/laundry. The home has state of the art finishes. There are 4 garages. Security includes burglar bars, an alarm system and beams all round the house. There is a generator that starts automatically when there is a power failure. The landscaped garden, with its many indigenous trees, includes a small pool and a paved pathway leading down to the river where there is a braai facility. There is also a vegetable garden covered with shade netting. This beautifully manicured garden is irrigated by means of water pumped from the river. Fishing is excellent and there is a boat launching facility on the estate that may be used by residents. To reach the house one has to drive through 133 ha of common property where a number of different species of game roam freely. This is an ideal weekend getaway/holiday home. Sign-up and receive Property Email Alerts of Lodges for sale in Parys, Parys.